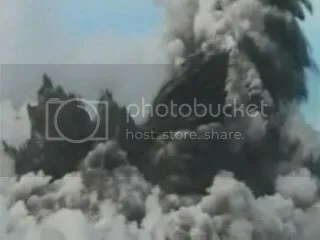 Posted by admin in activity reports, Alaska, Batu Tara, Caribbean, Chaitén, Chile, Colombia, Dukono, Ecuador, eruptions, Galeras, Hawaii, Indonesia, Japan, Kamchatka, Kilauea, Manam, Nicaragua, Papua New Guinea, Peru, Redoubt, Reventador, Russia, Sakura-jima, San Cristóbal, Shiveluch, Suwanose-jima, Tonga, Tungurahua, Ulawun, United States, Weekly Volcanic Activity Reports. 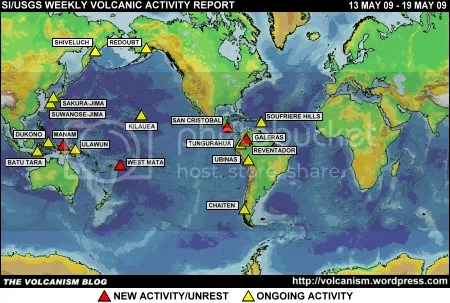 The Smithsonian Institution/United States Geological Survey Weekly Volcanic Activity Report covering 13-19 May 2009 is available on the Global Volcanism Program website. The following is a summary and not a substitute for the full report. New activity: Galeras (Colombia), Manam (Papua New Guinea), San Cristóbal (Nicaragua), West Mata (Tonga). 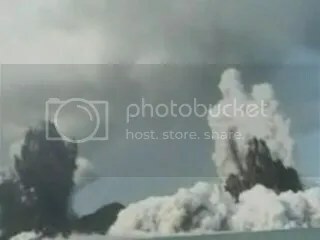 Ongoing activity: Batu Tara (Komba Island, Indonesia), Chaitén (Chile), Dukono (Halmahera, Indonesia), Kilauea (Hawaii), Redoubt (Alaska, USA), Reventador (Ecuador), Sakura-jima (Japan), Shiveluch (Kamchatka, Russia), Soufrière Hills (Montserrat), Suwanose-jima (Japan), Tungurahua (Ecuador), Ubinas (Peru), Ulawan (Papua New Guinea). 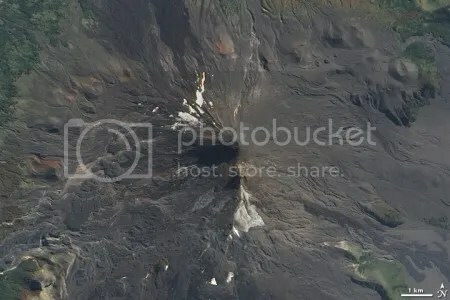 Posted by admin in Alaska, Chile, Ecuador, Fernandina, Llaima, NASA Earth Observatory, Pacific, Papua New Guinea, Rabaul, Redoubt, Tonga, United States, volcano images. 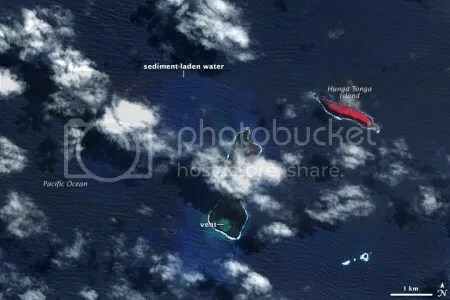 A lot has been going on around the world, volcanically speaking, over the past few weeks, and the NASA Earth Observatory has been featuring some wonderful satellite imagery of current volcanic events. 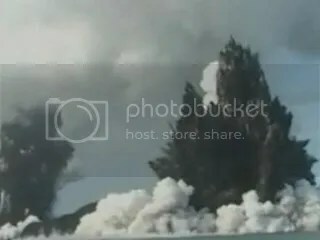 Submarine eruption in the Tonga Islands (acquired 26 March 2009): an ASTER image from NASA’s Terra satellite showing new land created by the eruption at Hunga Ha’apai, sediment-laden water around the island, and evidence of the destruction of vegetation by the volcanic action. 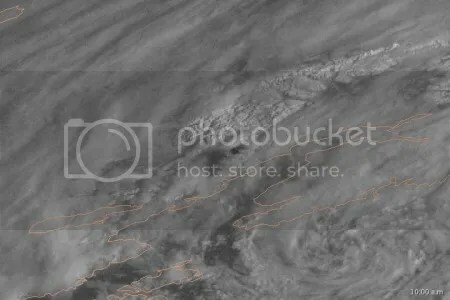 Plume from Mount Redoubt (acquired 26 March 2009): a series of images captured by the Geostationary Operational Environmental Satellite (GOES) of the plume produced by Mount Redoubt between 09:00 and 11:30 local time on 26 March 2009. 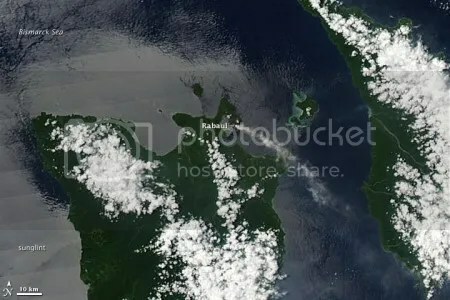 Plume from Rabaul Volcano (acquired 3 April 2009): a MODIS image from NASA’s Aqua satellite shows an off-white plume (suggesting mainly water vapour content) from Rabaul blowing away to the south-east. 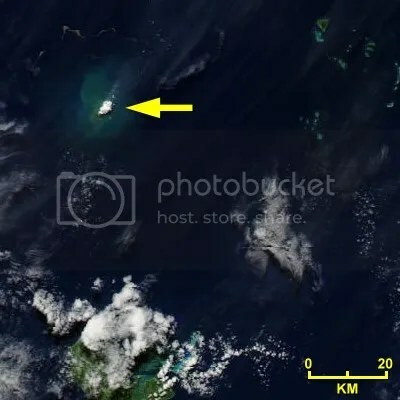 Sulfur dioxide plume from Isla Fernandina (aquired 14 April 2009): the Ozone Monitoring Instrument (OMI) on NASA’s Aura satellite captured data on the SO2 plume emitted by the eruption of Fernandina in the Galapagos Islands. 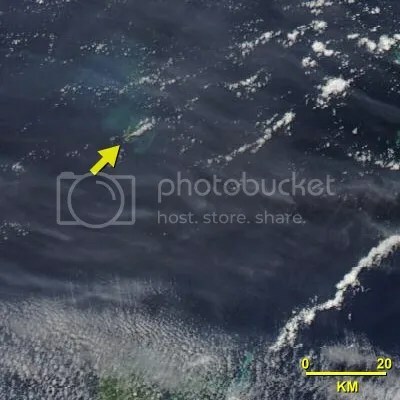 Plume from Mount Pagan (acquired 15 April 2009): a MODIS image from NASA’s Terra satellite shows a gas-and-steam plume released by an eruption of Mount Pagan in the Mariana Islands. Eruption from Llaima volcano, Chile (acquired 16 April 2009): the Advanced Land Imager (ALI) on NASA’s Earth Observing-1 satellite captured a stunning unobstructed view of Llaima’s barren, lava-layered summit area. The NASA Earth Observatory is currently celebrating its 10th anniversary, and is inviting everyone to vote on their favourite Images of the Day from the last ten years of wonderful satellite imagery. Seven of the fifty finalists are volcano-related, and any one of them would be a worthy winner. 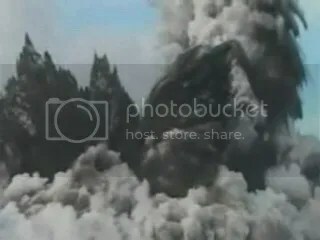 Posted by admin in activity reports, Alaska, Batu Tara, Caribbean, Chaitén, Chile, Colombia, Dempo, eruptions, Etna, Galeras, Gamkonora, Hawaii, Indonesia, Italy, Japan, Kamchatka, Karymsky, Kilauea, Koryaksky, Kuchinoerabo-jima, Lewotobi, Okmok, Pacific, Papua New Guinea, Peru, Popocatépetl, Rabaul, Redoubt, Russia, Sakura-jima, Shiveluch, Soufrière Hills, Tonga, Tungurahua, Ubinas, United States, Weekly Volcanic Activity Reports. The Smithsonian Institution/United States Geological Survey Weekly Volcanic Activity Report covering 18 March 2009 to 24 March 2009 is now available on the Global Volcanism Program website. The following is a summary and not a substitute for the full report. New activity: Galeras (Colombia), Hunga Tonga-Hunga Ha’apai (Tonga), Koryaksky (Kamchatka, Russia), Redoubt (Alaska, USA). 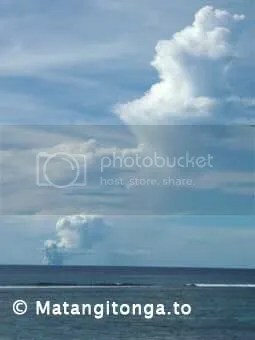 Ongoing activity: Batu Tara (Komba Island, Indonesia), Chaitén (Chile), Dempo (Sumatra, Indonesia), Etna (Italy), Gamkonora (Halmahera, Indonesia), Karymsky (Kamchatka, Russia), Kilauea (Hawaii, USA), Kuchinoerabu-jima (Japan), Lewotobi (Flores Island, Indonesia), Okmok (Alaska, USA), Popocatépetl (Mexico), Rabaul (Papua New Guinea), Sakura-jima (Japan), Shiveluch (Kamchatka, Russia), Soufrière Hills (Montserrat), Tungurahua (Ecuador), Ubinas (Peru). Posted by admin in activity reports, Alaska, Arenal, Asama, Batu Tara, Chaitén, Chile, Colombia, Costa Rica, Ecuador, Fuego, Galeras, Guatemala, Hawaii, Indonesia, Japan, Kamchatka, Karymsky, Kilauea, Koryaksky, Nevado del Huila, Pacaya, Pacific, Papua New Guinea, Peru, Rabaul, Redoubt, Russia, Sakura-jima, Santa María, Shiveluch, Suwanose-jima, Tonga, Tungurahua, Ubinas, United States, Weekly Volcanic Activity Reports. 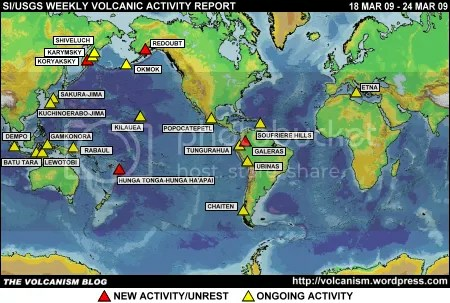 The Smithsonian Institution/United States Geological Survey Weekly Volcanic Activity Report covering 11 March 2009 to 17 March 2009 is now available on the Global Volcanism Program website. The following is a summary and not a substitute for the full report. 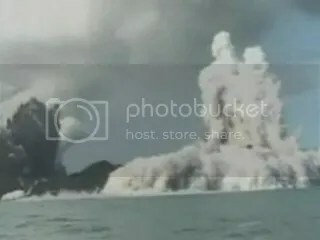 New activity: Ebeko (Paramushir Island), Galeras (Colombia), Hunga Tonga-Hunga Ha’apai (Tonga), Koryaksky (Kamchatka, Russia), Redoubt (Alaska, USA), Semeru (Java, Indonesia). Ongoing activity: Arenal (Costa Rica), Asama (Japan), Batu Tara (Komba Island, Indonesia), Chaitén (Chile), Fuego (Guatemala), Karymsky (Kamchatka, Russia), Kilauea (Hawaii, USA), Nevado del Huila (Colombia), Pacaya (Guatemala), Rabaul (Papua New Guinea), Sakura-jima (Japan), Santa María (Guatemala), Shiveluch (Kamchatka, Russia), Suwanose-jima (Japan), Tungurahua (Ecuador), Ubinas (Peru). And what, precisely (you ask), is Hunga Tonga-Hunga Ha’apai? It is, or rather, they are, two islands that cap a large seamount in the Tonga Islands. Passengers and crew on a flight over the area witnessed a fresh eruption there yesterday, the first since 1988. 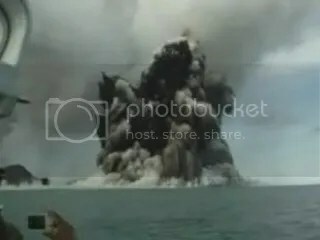 Blog post and pictures can be found here, and Eruptions has all the facts and background here. UPDATE, 18 March 2009. Various news sources have picked up the story and are listed below. 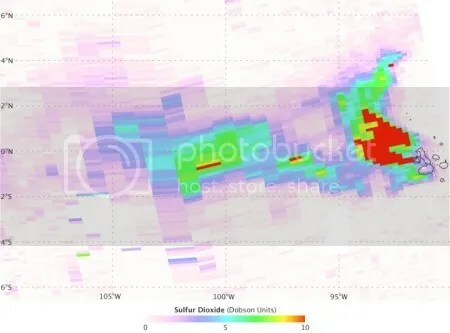 Among the details reported are a possible connection to a magnitude 4.4 earthquake last Friday, 35km W of Tongan capital Nuku’alofa. 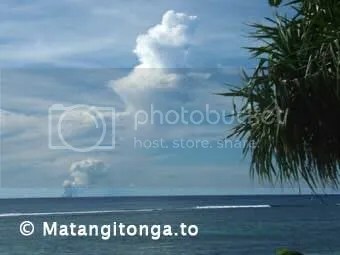 In Tonga itself, Matangi Tonga has a detailed story with pictures of the eruption plume taken from Nuku’alofa. 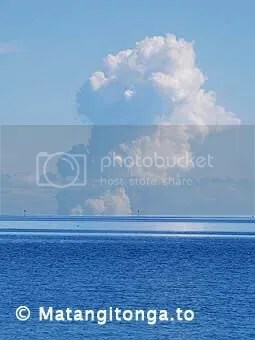 Stuff.co.nz reports that New Zealand air traffic is being disrupted by the eruption, and quotes an Airways New Zealand spokeswoman as saying that the volcano’s eruption column is reaching 15000 metres altitude. Wellington VAAC, however, currently reports ash at flight level 150, which is 15000 feet (4500 metres). The highest altitude they have reported the emissions reaching is flight level 250, 25000 feet, which is 7600 metres. 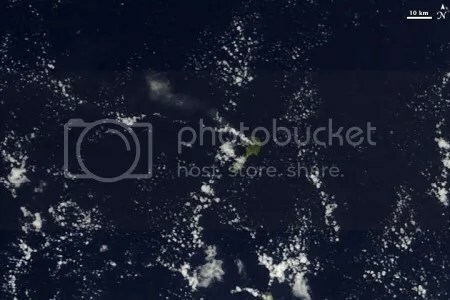 Click here for a satellite image of the eruption (MODIS/NASA Aqua). Images from Matangi Tonga are reproduced here with the kind permission of Pesi Fonua, Publisher/Editor. The Volcanism Blog is very grateful for permission to use these images.